Brisas Del Mar homes are located in the West Huntington Beach area of Huntington Beach, California. The Brisas Del Mar complex was built between 1989 to 1993 and features one to three bedroom condos that range in size from 600 to 1,177 square feet of living space. The community has recently gone through a renovation with new exterior pain and tropical landscaping. There is a nice community pool and spa as pictured above that's included in the monthly association dues. 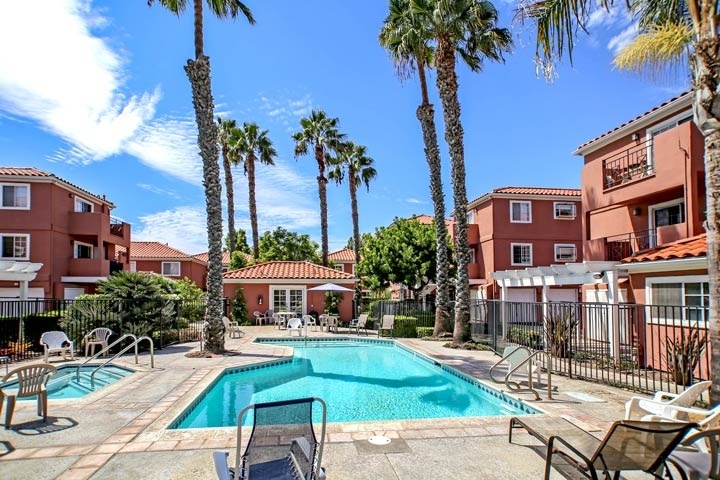 Below are the current Brisas Del Mar condos for sale and for lease in Huntington Beach. Please contact us at 888-990-7111 with questions regarding this community and any of the condos listed for sale here.